Four week, hot (26+2) yoga immersion teacher training program in Upstate New York with 250 hours of full training led by experienced, senior level yoga instructors who will help to assist and support you through each part of the program. All experience levels are welcome to train with Evolation Yoga, from beginner to intermediate and advanced level yoga practitioners. We know and fully understand how hard it can be for some to attend a full four weeks of yoga teacher training at once so we have made this teacher education program available to be taken in separate parts to provide for a more convenient, flexible way for you to complete the training over a longer period of time. Don't let your busy work, school and/or family schedule hold you back from your yoga teacher training goals! Contact us to discuss options for you to complete your training with us. 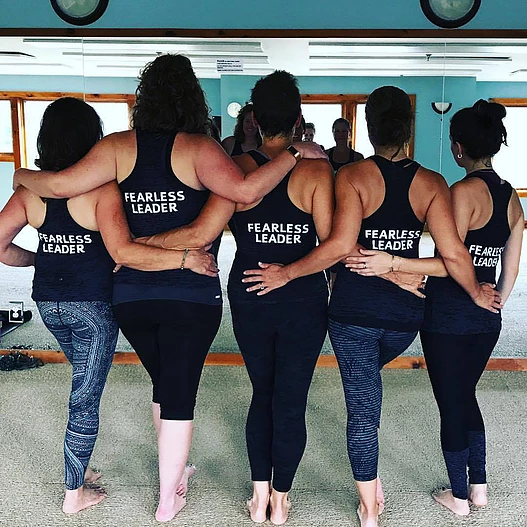 A newly opened gem in the Adirondack Mountains of Upstate New York, Hot Yoga Lake Placid provides a perfect amount of space for training as a teacher. The studios offers classes daily, Monday through Sunday and is fully equipped with mats, towels, blocks, straps and even blankets along with separate Men's and Women's) changing rooms, bathrooms and showers plus plenty of free, on-site parking available. We are excited to be collaborating with and hosting our hot yoga teacher training at Hot Yoga Lake Placid New York and we know you will love the space just as much as we do. This hot yoga teacher training takes place in Lake Placid, New York. There are local NY taxi, Lyft and Uber service available for your convenience. Transportation is not provided to or from the training location but just let us know if you have any questions and we will help to answer and address them for you as needed. Toddy Willis is a charismatic and methodical educator, lover of life, yoga instructor and a Kinesiologist. His compelling life experiences and Australian accent certainly holds you in awe whilst he guides you through and into newfound depth of your practice and self. His way of teaching has previously been describe as somewhat like a “Grandfather”. Not so much as on the old and out route of life but more like the intensity of his caring and sharing mannerism and the wisdom he brings forth. Evolation Yoga's teacher training curriculum includes the history and philosophy of yoga along with meditation and breathing and specific posture mechanics that are designed to educate you and empower you with an in depth understanding of yoga and the fundamentals of teaching. Our curriculum is taught by knowledgeable teachers who are passionate about sharing their love for yoga as they guides trainees to becoming certified teachers. Evolation Yoga is a registered school through Yoga Alliance, proudly educating yoga trainees to become certified yoga teachers. Upon completion of our 250 hour Hot Yoga Immersion Training, you will be awarded with a RYT 200-Hour registration certificate from Yoga Alliance and will be fully certified to teach hot yoga classes. Come train with Evolation Yoga in Lake Placid, New York for a memorable experience as you practice and progress forward with fellow yogis sharing similar love and joy for hot yoga and the many healing benefits of the series. Visited by NY locals and avid Winter outdoor sports enthusiasts as a perfect vacation spot in New York's Adirondack Mountains, Lake Placid is a small village town in the North Elba area of Upstate New York that's perhaps most popularly known for housing the 1932 and 1980 Winter Olympics. When you're not training, practicing or studying, you are welcome to enjoy Mother Nature at her finest on a stroll around Mirror Lake or nearby mountain trails. Now Accepting Applicants for Our Hot Yoga Teacher Training in Lake Placid!